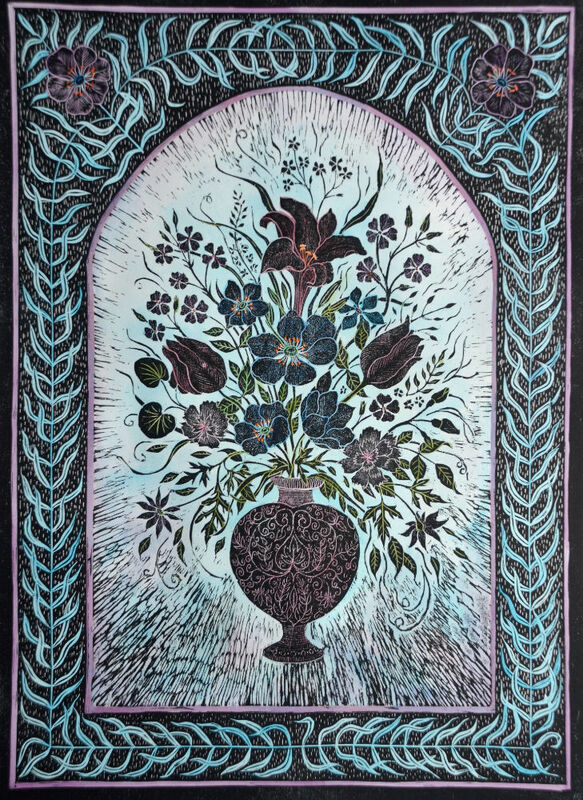 This is a print taken from my woodcut block which I have then painted in watercolour, so it is a unique print. It is printed by hand in black ink on a Columbian relief press and when the ink is dry, watercolour is added. This one is painted in shades of blue with purple and pink. It is printed on Somerset satin 300gsm paper which is 75cm x 55cm. The image size is 55.5cm x 40.5cm. It will be sent carefully rolled in a cardboard tube. All times are GMT 0. The time now is 7:03 pm.